Israel Hall Esq. Dear Sir I received this morning the letter of your son Lieut G. F. Hall, containing a draft for $30. 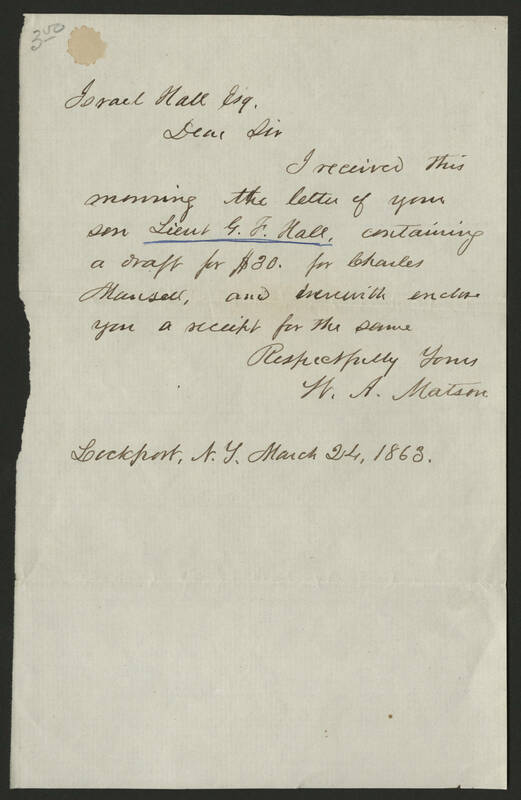 for Charles Mausell, and therewith enclose you a receipt for the same Respectfully Yours W. A. Matson Lockport, N.Y. March 24, 1863.